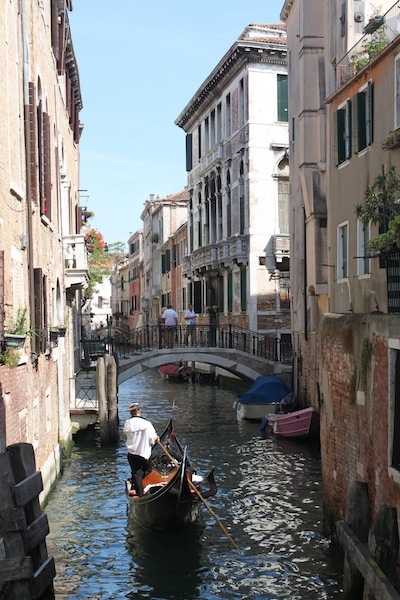 On Saturday morning, we made our way by train to Venice for a whirlwind, 2.5-day stop. While everyone should see Venice at least once, it is a demanding city to visit in that the tourists out number the Venetians by a huge margin. Our highlight was a guided tour by our tour guide, Fernando, who took us on a 3-hour walking tour on Monday. 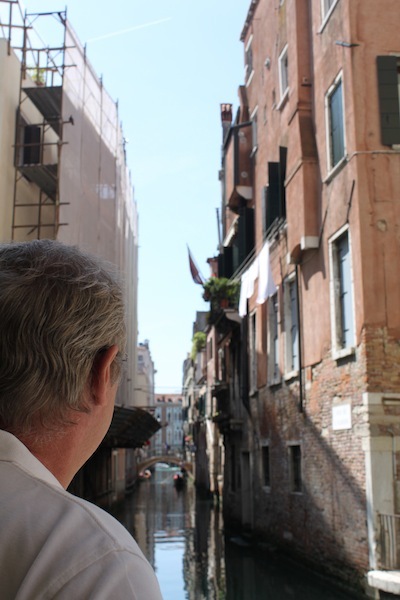 Fernando’s tour ranged from the subtleties of the architecture and mosaics of St. Mark’s Basilica, to a description of Venetian life in the city’s heyday, to the modern-day struggles it has in continuing its existence as something other than a tourist stop. 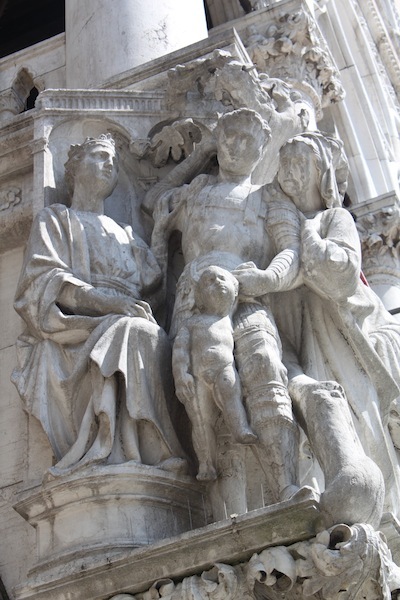 The highlight of any first-time visit to Venice will be St. Mark’s square, where we spent a lot of time. When the open-air orchestras are playing in the square, the thousands of tourists are passing through posing for pictures, and the children are feeding and playing with the pigeons, the square takes on a magical quality.Gabriel set the record for most pigeons fed in a two-day period. While we spent most of our time in the St. Mark’s area, we did venture to the Guggenheim museum, featuring the private collection of Peggy Guggenheim. Peggy was an important patron of contemporary art in the 20th century, providing support to many modern artists, such as Jackson Pollock. More interesting notes and video - ya'll are now pro's. I have to ask: Did any of the pigeons poop on you? It was great fun to have dinner in Paris and visit the Eiffel tower with y'all. We are now back home, having taking the Eurostar to London and then the direct flight back to Raleigh. Looking forward to getting together when you return. Have a great rest of your trip.